Stories updated in the last 30 days. 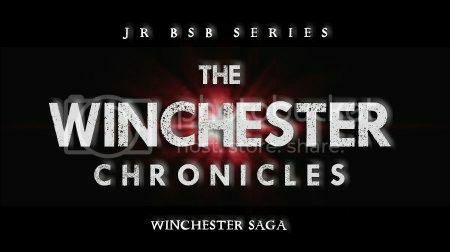 The Winchester Chronicles by bjnkha9192 Rated: PG-13 [ - ] New! A Heart That Isn't Mine by RokofAges75 Rated: R [ - ] New! Life can change in a heartbeat. No one knows that better than Nick Carter. After an unexpected loss leads to an estrangement from his wife, he finds himself in the Florida Keys, broken-hearted and alone… until a chance encounter changes everything. All In by elleinad Rated: R [ - ] New! In a situation that is unfamiliar and unprecedented, Nick and Coll are both trying to navigate relationships and life without veering too far off their own paths or too far from each other. They'll try to maintain their status quo - but they'll discover they each accept and expect different things. Will their friendship bend or break as they twist about in their new scenario? And how will their other relationships and obligations influence them and fare along the way? If I Knew Then by DelphinaCarter Rated: PG-13 [ - ] New! On his 17th birthday, Nick confesses his deepest, darkest secret to Brian. Little does he know that Brian is hiding a secret of his own. What's There Inside You by Maggie Rated: G [ - ] New! Summary: 10-year-old Rose Littrell, Brian and Ororo's youngest, faces bullying at school for coming from a family of mutants. She's lost all but her closest friend because of them. When she suddenly pops up in Las Vegas, everyone realizes that her mutant powers have emerged earlier than expected. A kidnapping attempt makes Brian realize that his responsibility in the Enigma Diversity is a little bit bigger than he thought, and in danger.